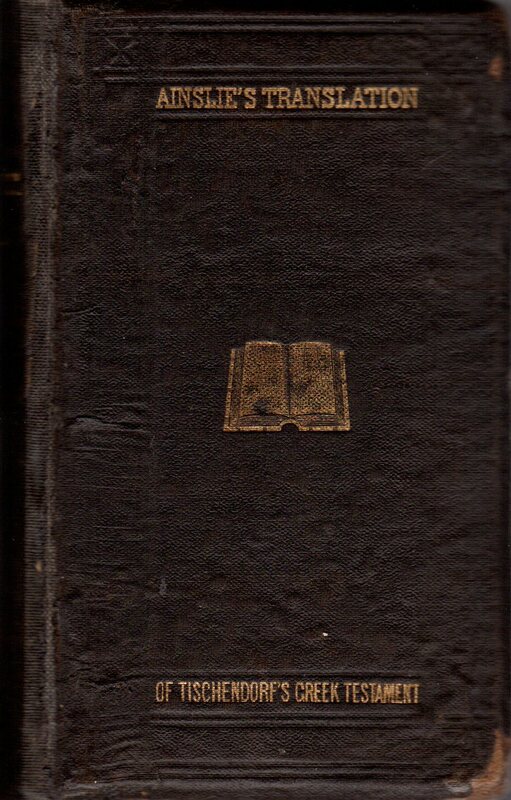 Click here for sample verses from the version by Robert Ainslie. 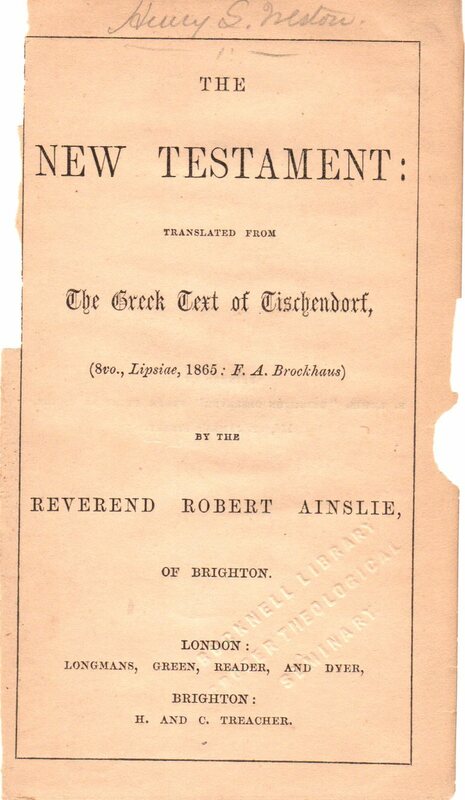 Title: The New Testament: translated from The Greek Text of Tischendorf, (8vo, Lipsiae, 1865: F. A. Brockhaus) by the Reverend Robert Ainslie, of Brighton. 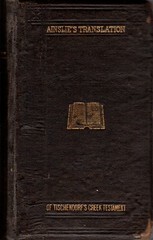 References: Chamberlin 559-1, Herbert 1974, Taliaferro-EELBV 7510.